The effort to rehabilitate the minds, bodies, and lives of these soldiers is the motivation behind the commitment from the Department of Veterans Affairs and 3D printing corporations like Stratasys. 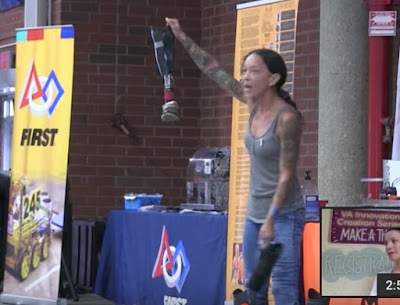 The US Department of Veterans Affairs has begun experimenting with the use of 3D printing to create prosthetic limbs for amputee war veterans in a more efficient and personalized system, and San Antonio is home to one of these machines. This year, the Veterans Affairs Center for Innovation has partnered with Stratasys, one of the leading corporations for 3D printing in the world. Together, these organizations are working to revive parts of the body that were once dead, or lost completely, for US Veterans. Limb injuries have become more commonplace in surviving war veterans because of the evolution of body protection armor. As it becomes more advanced, soldiers can withstand shots to the body that would normally be fatal. Limb injuries, however, are sustainable, meaning soldiers can continue to live, even with a disability. However, technology has anticipated these results at an equally rapid rate. Prosthetics are artificial structures created to replace lost body parts and restore functionality. While one of the earliest prosthetic inventions is thought to be a set of artificial toes in Egypt from 3000 BCE, modern-day amputees will be experiencing an entirely new era of artificial anatomy.